The dead period is over which means that schools can now initiate contact with recruits, go see them at their schools and homes and host them on campus visits. This contact period goes until Feb. 5, right before the traditional National Signing Day on Feb. 7. It will be a fast and furious finish to the class, with 7-to-10 more players expected to be added to the team, so buckle up. >> Despite all his talk about wanting his recruitment to blow up, it's believed that 3-star running back and Under Armour All-America Game MVP Maurice Washington‍ is all Nebraska still. However, before using an official visit with him Frost wants to be 100-percent certain that his grades are actually going to check out and he could qualify. A person close to his recruitment told me that Washington's family and coach all want him in a situation with strong academics and football. There is no need to panic because running back/wide receiver Miles Jones‍ will be on campus this weekend and I think he will flip from his Vandy commit. Also, running back Ta'Zhawn Henry‍ is still leaning towards Nebraska if they want to pass on Washington. Nebraska pushing both Washington and Henry’s visits back is a show of confidence in this case because they also believe that if they host Henry, they will gain his commitment. >>What is the most interesting question left for Nebraska as it looks to round out this initial “transition” class? Is it the last wide receiver in the class? What happens with the remaining targets at offensive line? The quest to add pass rushers? My answer is pass rushers. I can confirm that 3-star defensive end Daniel Carson‍ will be on an official visit with his mother this weekend in Lincoln. Also, Nebraska got a late addition as 4-star Caleb Tannor‍ will also be taking an official visit. There is now a belief that Carson may commit this weekend or before next weekend. Distance from home is starting to play a factor there. Tannor is a terrific pass-rusher and is very high on Nebraska. Tannor has a relationship with the staff as the coaches recruited him hard to UCF. The Huskers have a great opportunity with him. If they can somehow land Carson and/or Tannor to go along with Tate Wildeman, it would be a great defensive end haul. >>There has been some talk about Nebraska getting close to the cap of official visits a team can use in a season. The math gets a bit tricky because you can count unused visits from the previous season but by my unofficial count, Nebraska has about 20 visits left going into this weekend. I have them at eight official visitors this weekend and three unofficial visitors. I should note that Ole Miss defensive back/linebacker transfer Breon Dixon is expected to be an unofficial visitor and it is still expected that he will commit and start classes on Monday. That would leave the Huskers with 12 officials left, so spots will get tight based on the number of guys that want to visit. >>Two of the official visitors this weekend picked up huge offers this week. Three-star pass-rush specialist Javontae Jean-Baptiste‍ picked up an offer from Ohio State and was already going to be a tough pull from Virginia Tech. Three-star cornerback Taiyon Palmer‍ picked up an offer from Clemson and was going to be a tough pull from North Carolina State. If Frost and company want to accelerate the amount of time it will take for the “Big Red Revival” they have to win some of these battles early. These two players represent a couple of the first real tests of Frost on the trail. >>Interest in all things related to the program are at all an all-time high right now so there have been some questions about how the new strength and conditioning staff will approach things. 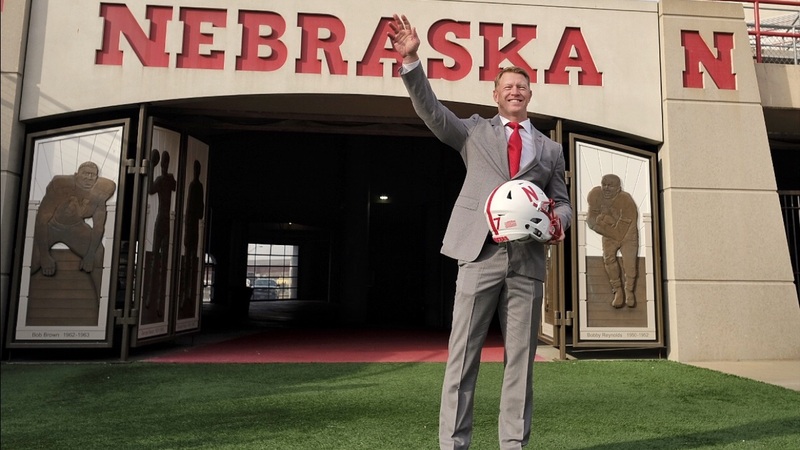 Things will obviously change in a big way for the incoming staff as they will have vastly different resources to work with at Nebraska versus what they had at UCF. I do know that S&C is all in on getting the new team ready and won’t really be able to help players from last year’s team prepare for the NFL Draft. >>Last night I was able to exchange a few messages with 3-star athlete Cam Taylor‍. The Alabama native spoke with Frost last night and is finalizing a visit for the last week in January. He told me that they see him as either a wide receiver or defensive back, but just “want to get him on the field.” Jones is taking an official visit to Auburn this weekend, and is scheduled to visit Florida Atlantic the weekend after that.